How to To Schedule WhatsApp Messages: Auto WhatsApp Message Sender for Android and iPhone. WhatsApp Messenger is an open source cross-platform instant messaging service for smartphones through which users can send unlimited messages. WhatsApp allows you to never pay for your texting (SMS) anymore as the users can use this service at the cost of internet pack only. In addition to text messaging, users can send each other images, video, and audio media messages. This software is available for Android, BlackBerry OS, BlackBerry 10, iOS, Series 40, Symbian (S60), and Windows Phone and can be easily downloaded from Whatsapp website. Tired of waiting for the clock to tick 12, so that you can wish your friend a very happy birthday, well buddy your wait is over. Now here Whatsapp Message Scheduler comes into play which is a handy tool for sending automatic WhatsApp messages on chosen date and time as per your desired needs. Whatsapp Message Scheduler is easy to handle and it works like any other Text message scheduler. Send Message to multiple contacts at a go. 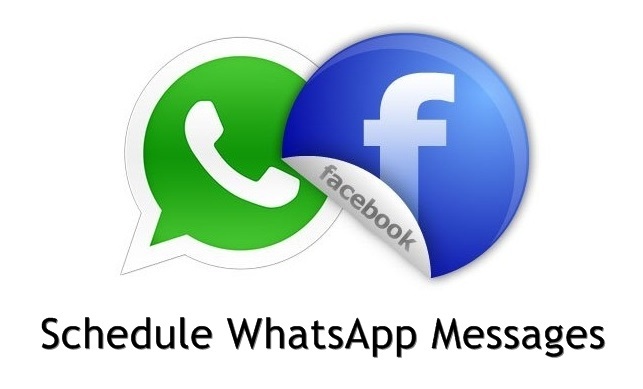 Now the question arises how to schedule messages on WhatsApp messenger? Below is the mentioned guide on how you can do it using WhatsApp Message Scheduler app. Below are the detailed steps that will lead you to the successful scheduling of messages. Select the particular Contact and key in your message. Now Choose Date and time on which you want your message to be delivered. After that Click Add. Once done with this, you can now see your Scheduled Whatsapp Message under pending messages. Your Scheduled Whatsapp Messages would get delivered on Chosen data and time. Once your message gets delivered, you would get delivery notification under your notification bar. After this setup, you are all set to go. Wish anyone anytime without putting enough pressure on your brain to remind each and everything. Best part about this scheduler is its User interface. A very interactive interface allows user to schedule their messages in a hassle-free manner.Now if you think you need this application for scheduling your own Whatsapp Messages then what are you waiting for, go ahead and download this cool app from XDA Forum. Please Note: This Scheduler currently works on Rooted Android phones only. However; developers are working to slate it down to normal operating systems.